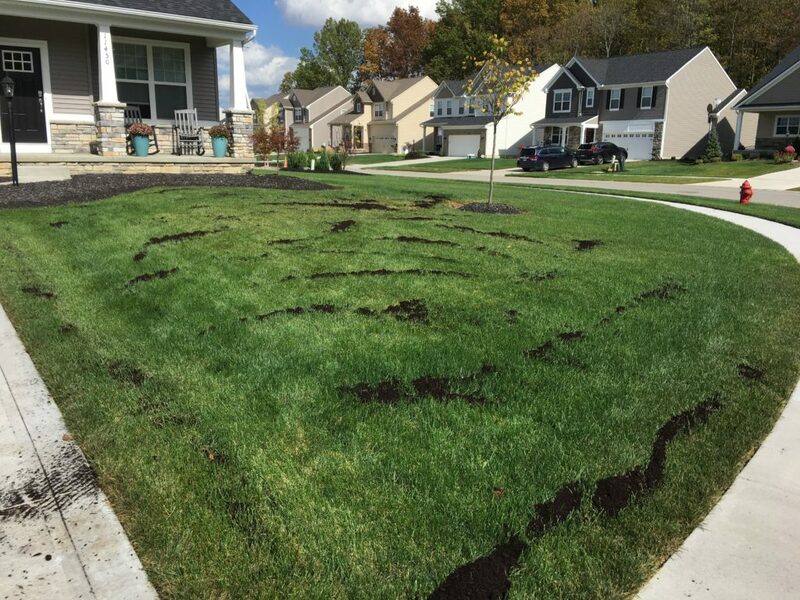 Ohio is known for compact clay soil that tends to run slightly acidic. 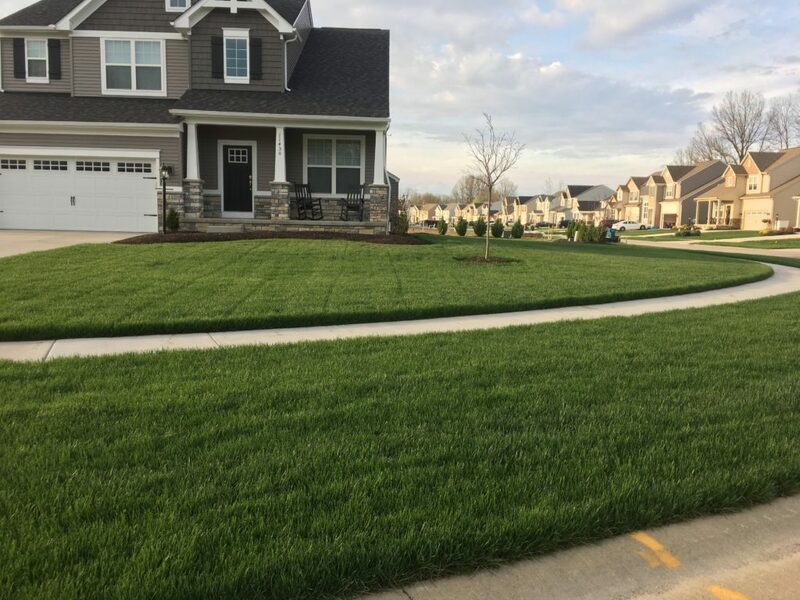 Amending your lawn with Sweet Peet is the best way to amend soil composition, provide lasting nutrients, and moisture retention. The addition of Sweet Peet to your lawn’s soil helps neutralize the PH level of the soil. 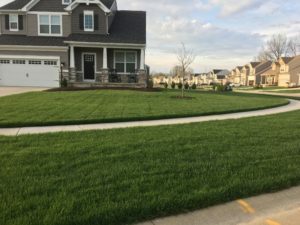 Most clay soil runs slightly acidic and by adding Sweet Peet (a PH neutral amendment) your lawns soil will balance out to create optimum growing conditions for your northern lawn. As Sweet Peet works its way into the soil, the heterogenous makeup of the organic matter helps separate and breakup the compact clay providing better aeration. 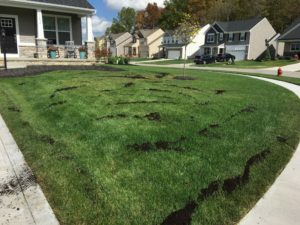 Furthermore, the organic matter slowly breaks down releasing nutrient rich elements into your lawn that continuously feeds your grass. 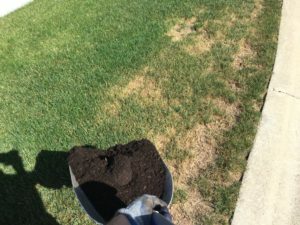 Finally, the organic makeup of Sweet Peet absorbs and retains moisture far better than plain soil, helping your lawn grow thicker and stronger with less overall watering needed. 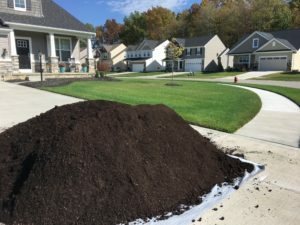 For optimal results, we suggest amending lawn soil in spring (April – May) or if you want to aerate prior to amending the soil then elect for fall (September – October). The nice thing about aerating prior to amendment, is that it allows Sweet Peet to get into the soil instantly. For a project like this, ordering in bulk is the way to go. 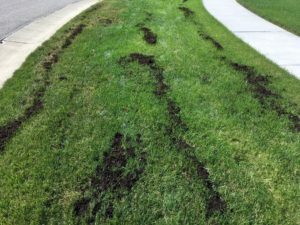 You’ll need about ¼” of Sweet Peet to spread over the surface area of the lawn. Calculate this with our Sweet Peet calculator. Fill your wheelbarrow and start with obvious brown or bare spots that need the extra nutrients and moisture retention. Spread with a scoop shuffle to efficiently move material. Shake the shovel as you move up and down the bare spots to spread Sweet Peet in these concentrated areas. 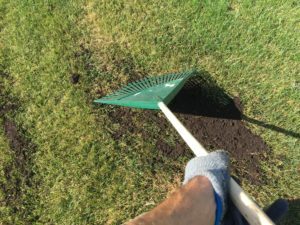 Next, move onto tree lawns or small surrounding areas by walking in rows spaced 3 feet apart and shaking the scoop shovel as you walk to spread Sweet Peet. After spreading the Sweet Peet, begin raking the material into the lawn so that all of the grass is standing up through the material. 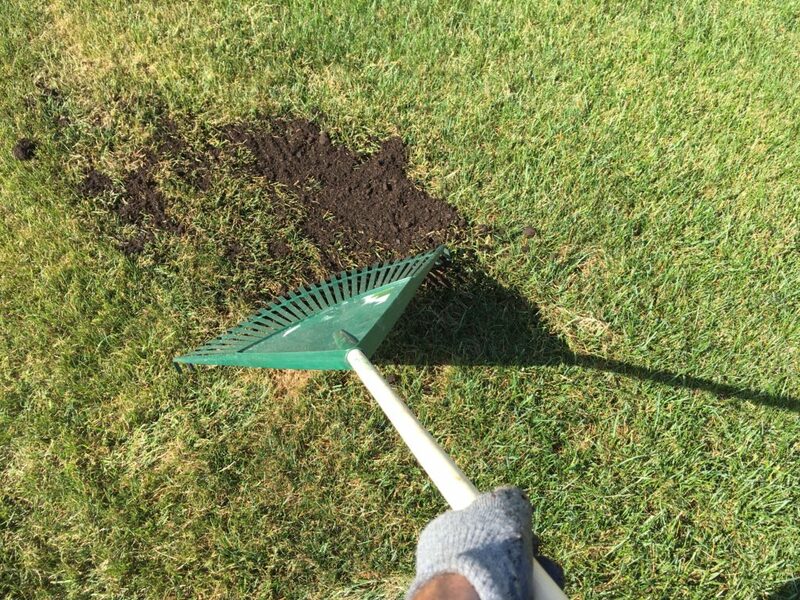 Next, move into larger spaces and spread the Sweet Peet by using large sweeping motions with the scoop shovel to fan the material across the lawn. Bonus: Overseed and cover seeded areas with additional Sweet Peet to help thicken your lawn.